After Ben Carson’s stupid and hateful comment that the USA should not have a Muslim president, Baylor theologian Roger Olson noted that we really could not have a Christian president, either. In my current work about evangelical colleges, I’m struggling to define what it meant to be Christian at school, too. It raises an ancient question: Can an other-worldly religion (successfully) run worldly institutions? I am not cynical, but neither am I naïve. America is no longer a true democracy; it is run by corporations and the super-rich elite. Occasionally they don’t get their way, but, for the most part, they do. One reason they do not seem to is that they do not agree among themselves about everything. So, sometimes, a president, a senator, a congressman, has to choose between them in decision-making. But, in the end, the policy remains that “What’s good for business is good for America” even when what’s good for business is bad for the working poor (to say nothing of the destitute). No, given how modern nation states work, I do not think a real Christian, a true disciple of Jesus Christ who seeks to put first the kingdom of God and God’s righteousness, can be president of the United States or any modern nation state. The deeper question of belief and institutional necessity is one I’m wrestling with these days. As I write my new book about the history of evangelical higher education, I find myself struggling to offer a satisfactory definition of what it has meant to be a fundamentalist. It’s a question that has bedeviled historians (and fundamentalists) for a good long while, so I feel I’m in good company. Labelling movements, sects, and traditions such as the Pentecostals, Mennonites, Seventh-day Adventists, Missouri Synod Lutherans, Jehovah’s Witnesses, Churches of Christ, black Baptists, Mormons, Southern Baptists, and holiness Wesleyans as fundamentalists belittles their great diversity and violates their unique identities (4). If we need a straightforward definition for those reasons, Matthew Sutton’s recent definition of fundamentalism as “radical apocalyptic evangelicalism” will do the trick. Certainly, fundamentalist theology was defined by its vision of end-times as well as by the centrality of those apocalyptic visions to the movement. But such definitions don’t seem to match the ways fundamentalism has been defined in its leading institutions. At the colleges I’m studying—schools such as Wheaton College, Bob Jones University, Bryan College, Biola University, The King’s College, and similar schools—there’s more to the school than just theology. Defining fundamentalism as it was used in fundamentalist institutions is a trickier issue than simply defining fundamentalist theology. By and large, when schools talked about themselves as “fundamentalist,” they meant that the professors and administration all signed on to fundamentalist theology. But they also meant that the students would have a vaguely conservative atmosphere in which to study. No smoking, no dancing, no etc. They also meant that students would be controlled and guided in their life choices. And they also meant that students would be more likely to socialize with similarly fundamentalist friends and future spouses. I’m not sure how to define that kind of fundamentalism. I like the way historian Timothy Gloege has done it in his new book about the Moody Bible Institute. Gloege focuses on what he calls the “corporate evangelical framework” that guided MBI since its founding in the 19th century. What did fundamentalism mean in Chicago? As Gloege argues, at a school like MBI, fundamentalism was more than a set of “manifestos and theological propositions.” Rather, it worked as a set of “unexamined first principles—as common sense.” Fundamentalism, Gloege writes, is better understood as a certain “grammar” than as a list of religious beliefs. That kind of definition seems closer to the ways it was used in the schools I’m studying. Can a college be Christian? In the sense that Roger E. Olson is asking, I guess not. Just as every president has to violate evangelical morality, so every institution of higher education has to consider a range of non-religious factors in order to survive. What does it mean to be a “fundamentalist” in America? And what does “fundamentalism” mean for American education? Theologian Roger E. Olson offers a great introduction to the intricate theological and cultural boundaries of American fundamentalism. As with any theological tendency, the definition of “fundamentalism” has long been fraught with bitter disputation. As I learned in my study of 1920s American fundamentalism, there will be exceptions to every rule and protestations of every boundary. Belief that Catholics are not real Christians. Most helpful of all, Professor Olson notes that the label “fundamentalist” is often used in looser ways. The list above describes a certain tradition among American Protestantism. But “fundamentalism,” as Olson argues, has long been used to describe other phenomena as well. Many thanks to the good professor for offering this nuanced public definition. My summary here doesn’t do justice, and I suggest reading the article in its entirety. Outsiders to the world of conservative American Christianity like me often have a very difficult time decoding the dense layers of meaning attached to such labels. Yet for many within the porous boundaries of “fundamentalism,” many of the distinctions remain more inherited and implied than intellectually understood. Olson relates one anecdote that reveals some of these implicit meanings, the sort of meanings that might often be lost on outsiders. Before we move on, let’s consider some of the implications of this definition of fundamentalism for American education. If, as Olson argues, his list includes broad and widely shared tendencies among conservative Protestants, we can see why such folks have long been so keenly interested in educational issues. Some of the connections are obvious. Professor Olson suggests that young-earth creationism is considered a “crucial Christian belief…” among many fundamentalists. Supporters of creationist school policies, then, would have ardent supporters from the fundamentalist community. Second, Olson’s fundamentalists often believe “the Bible ought to be the basis of an entire educational curriculum, including studies of science, philosophy, psychology, etc.” Again, the educational implications are obvious. But beyond creationism and Bible, elements of Olson’s definition offer insights into the intersection between American fundamentalism and American education. For instance, the notion of “secondary separation” should deflate some of the ever-present suspicion of a vast fundamentalist educational conspiracy. As Olson describes, many fundamentalist types refuse to work with those with whom they disagree. More than that, fundamentalists often refuse to associate with those who fellowship with those with whom they disagree. That is, a fundamentalist must be very careful to associate only with those who are free of any connection to any organization or church that has any sort of suspect connection. In educational politics, this sort of rigid separationism can have important consequences. Many fundamentalists might sternly oppose policies, for instance, that promote teaching intelligent design in public schools. Or fundamentalists might (and have) fought against prayers in public schools, when those prayers become broad and ecumenical. Finally, the rigid separationist tradition has led to a long history of separate educational institutions. From Bob Jones University and Dallas Theological Seminary in the 1920s, through a host of new colleges and schools throughout the twentieth century, fundamentalists have often been keen to found their own schools. After all, if education must be based on the Bible, and young people must be taught to avoid the dangers of less-strict separationism, then many fundamentalists would insist on their own schools, their own textbooks, their own teachers, and so on. As with any theological or cultural definition, Professor Olson’s attempt to give a brief and readable account can be disputed endlessly. 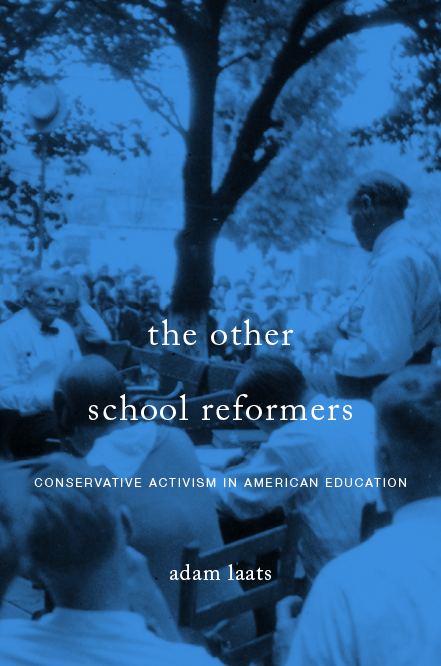 But for those of us outsiders trying to understand the complicated landscape of conservatism in American education, Olson’s article is a good place to begin.